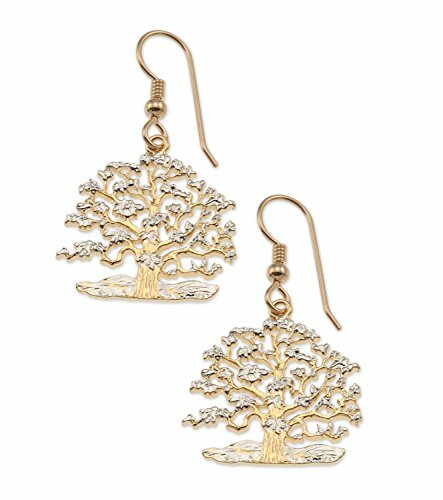 These beautiful tree of life earrings were hand cut from a coin minted on the island of Niue which is in the south pacific. The coin is very rare and was only minted in 1990 as part of a collectors series. After being hand cut we finish them in 14 Karat Gold and Rhodium platting. The earrings are mounted on 14 karat gold filled ear wires. If you have any questions about this product by The Difference World Coin Jewelry, contact us by completing and submitting the form below. If you are looking for a specif part number, please include it with your message.